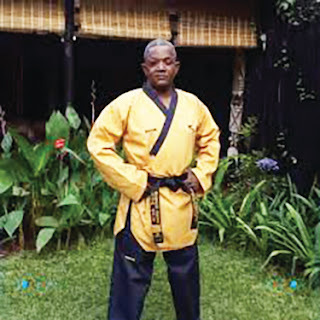 CHIREDZI – Zimbabwe Taekwondo Association (ZTA) will from next week launch the training of Taekwondo in schools in Chiredzi District as part of efforts to promote the sports to young people around the country. ZTA vice president Master Richard Sauta who is based in Nairobi, Kenya confirmed the development and said his association has liaised with the Ministry of Primary and Secondary Education so that the sport can be introduced here in Masvingo province starting with Chiredzi District where sports teachers will receive training first. He also said a team of three instructors will be based in Chiredzi to implement the program and members of the community can also join. “We are launching a program which is mainly focusing on school kids around Chiredzi so that we introduce the sport to them at a tender age. So far we have agreed with quite a number of schools and the program will start this week. Membership is only $5 per month which is payable in bond notes. I am a Master with a first degree black belt, I once won an international silver medal and have passion to spread this sport to kids around the country. We are hosting regional championships in August where other countries will be coming and they will be hosted by Chiredzi as a way of motivating the new recruits,” said Sauta. “Taekwondo is a Korean traditional martial arts that teaches discipline more than physical fighting skills. It is a discipline that shows ways of enhancing our spirit and life through training the body and mind. It has become Korea`s flagship sport that has gained an international reputation and stands among the official games in the Olympics hence the sport is sponsored by Korean Embassy in Zimbabwe as well as Samsung which is a Korean company,” added Sauta. Michael Sidja who is a second degree black belt holder and Zimbabwe Taekwondo welterweight champion will be in charge of training in Chiredzi. He is currently preparing to go to the World Taekwondo Championships to be held in Manchester, England in May and has represented Zimbabwe at the Olympics several times.